Definition at line 4359 of file Type.h. Definition at line 3228 of file Type.cpp. Definition at line 4375 of file Type.h. 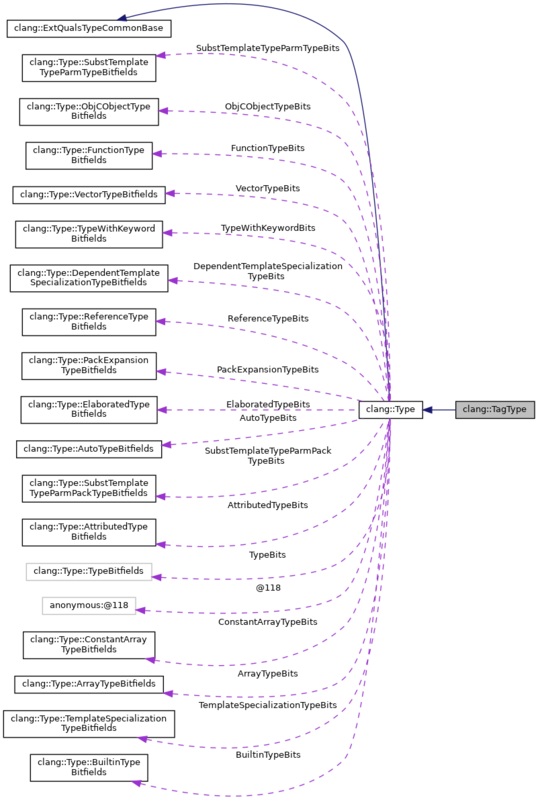 Definition at line 3244 of file Type.cpp. 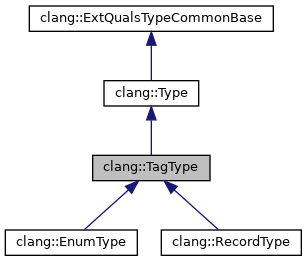 Referenced by computeCachedProperties(), clang::Sema::computeDeclContext(), clang::LinkageComputer::computeTypeLinkageInfo(), clang::RecordType::getDecl(), clang::EnumType::getDecl(), clang::TemplateTypeParmType::getIdentifier(), getTypeIdentifier(), clang::RecordType::hasConstFields(), isBeingDefined(), isTypeSubstitutable(), clang::ObjCTypeParamType::Profile(), clang::ASTTypeWriter::VisitTagType(), and clang::TextNodeDumper::VisitTagType(). Determines whether this type is in the process of being defined. Definition at line 3248 of file Type.cpp. Definition at line 4360 of file Type.h.